You’ve found that special someone you want to spend the rest of your life with, and you’re anxious to find just the right time and place to pop the big question. When it comes to finding the perfect setting to propose, it can be daunting to know just where to look. In all its beauty and varied terrain, entertainment and industry, Los Angeles has countless places to do just that no matter what your lifestyle, hobbies, or love of arts and culture. At the center of the Music Center Plaza is an iconic fountain that has 280 jets, which propel streams of water set to music for a full, 14-minute act. 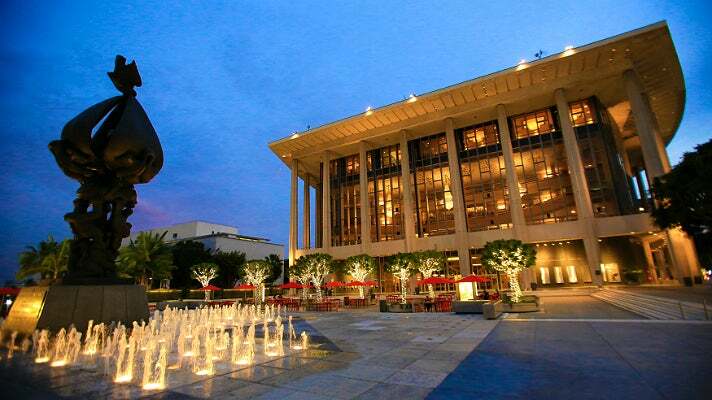 Whether you enjoy an LA Phil performance at Walt Disney Concert Hall or an opera at Dorothy Chandler Pavilion beforehand, they’re a perfect prelude to the chorus of your magnum opus as you declare your love for one another. The water artfully dancing around you will serve as the perfect accompaniment as you get down on one knee. 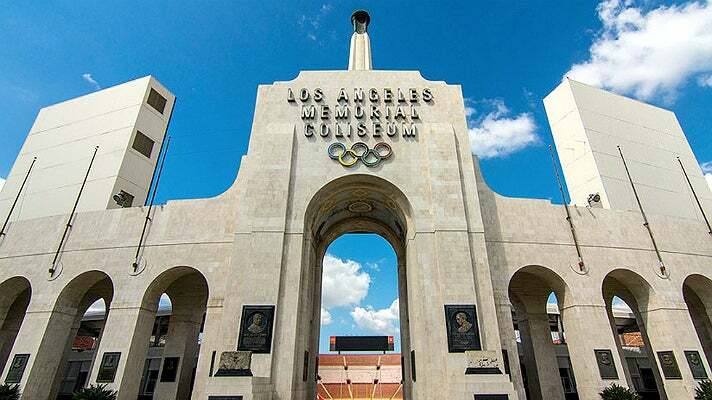 For NFL and college football fans, there's no better sports venue to propose than the landmark Los Angeles Memorial Coliseum. Home to the L.A. Rams and Chargers, the USC Trojans, and the former home to other sports teams such as the Dodgers, Raiders and UCLA Bruins, this setting is ripe for many an occasion to propose to your special fan. Book a private event or come to a game played by your favorite team, while saving the big ask for a picture perfect halftime. 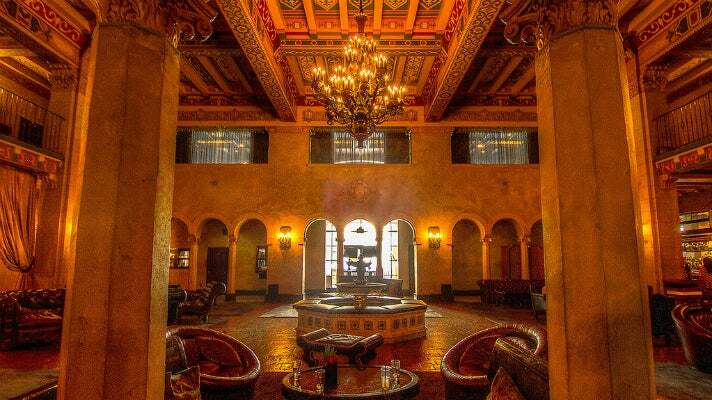 Classic film buffs will appreciate being front and center with Hollywood history at the Spanish Colonial-styled Hollywood Roosevelt, which opened in 1927 and the site of the first ever Academy Awards. Clark Gable and Carole Lombard had their infamous affair in the penthouse suite, which now bears their name and offers amazing city views. Along with the center courtyard and luxurious poolside cabanas, the hotel offers unsurpassed locations at which you can propose. 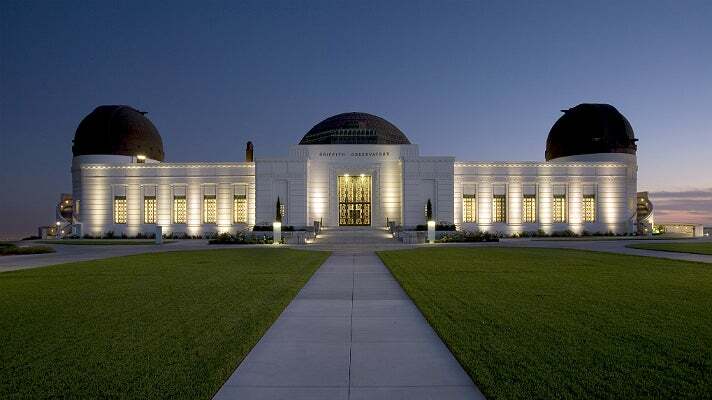 For stargazers, there are few things more romantic than visiting the Griffith Observatory and enjoying the views through telescopes, strolling through exhibits, and finally, enjoying spectacular views of the Hollywood Sign and the city as you get down on one knee. 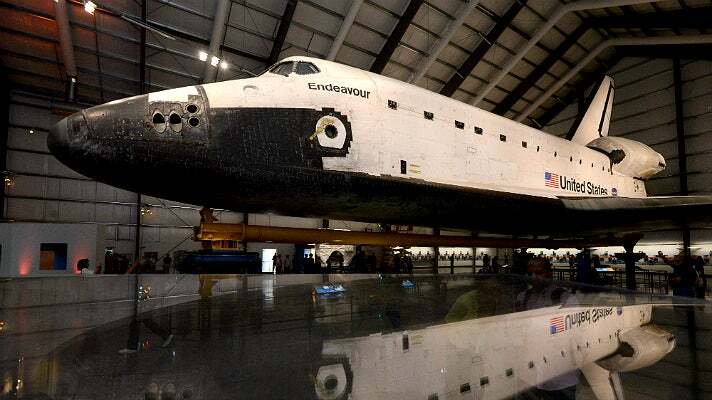 To get up close and personal with the technological marvel that is the Space Shuttle Endeavor, head to the California Science Center. Enjoy the exhibits leading up to the actual viewing of the shuttle, while saving the most important part at the foot of the wonder that was powered by what is still the most advanced and efficient rocket engine in the world. 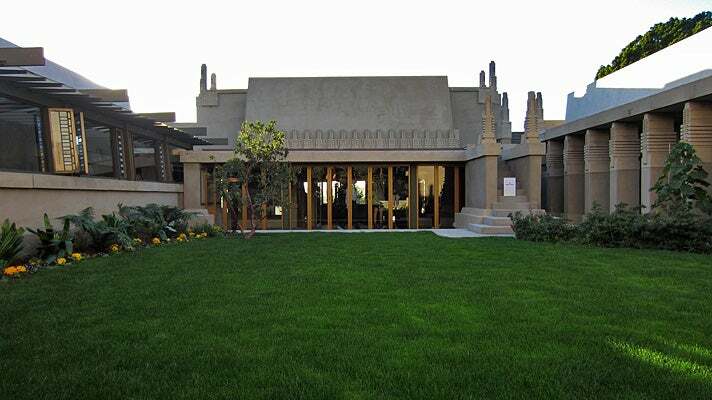 The recent restoration of the Hollyhock House, Frank Lloyd Wright’s first Los Angeles project, is of no small significance for any architecture buff. Note representations of the hollyhock flower incorporated into the house and corresponding furniture. Tours run from 11 a.m. to 4 p.m. Thursday through Sunday, perfect for perusing before walking around the grounds. The views of the Los Angeles basin and Hollywood Hills provide the perfect backdrop for you to pop the question. 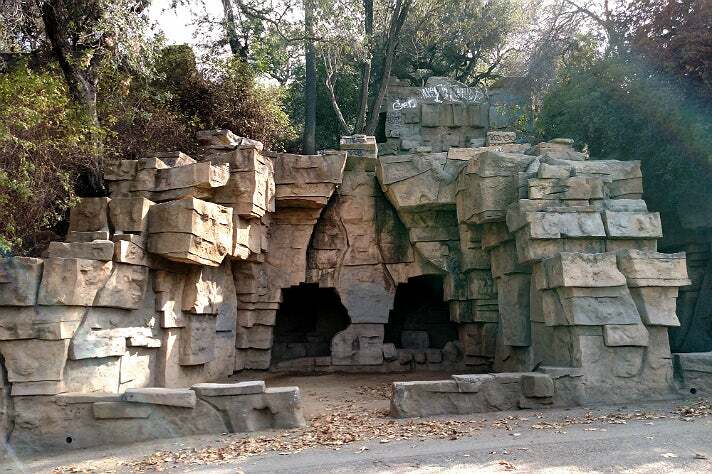 There’s nothing like an off-the-beaten-path destination like the abandoned Old Zoo in Griffith Park. Since there are picnic tables now situated around the exhibits, you can also start off with a romantic picnic during your little excursion before popping the big question. Meander from behind the large animal exhibits to peeking into the small animal exhibits; there are many enclaves that will give you - and your proposal - the privacy it deserves. For a coffee enthusiasts, there’s nothing like a morning wake-up call in your caffeinated cup of choice at the quaint, little Alfred Coffee on Sunset Boulevard. 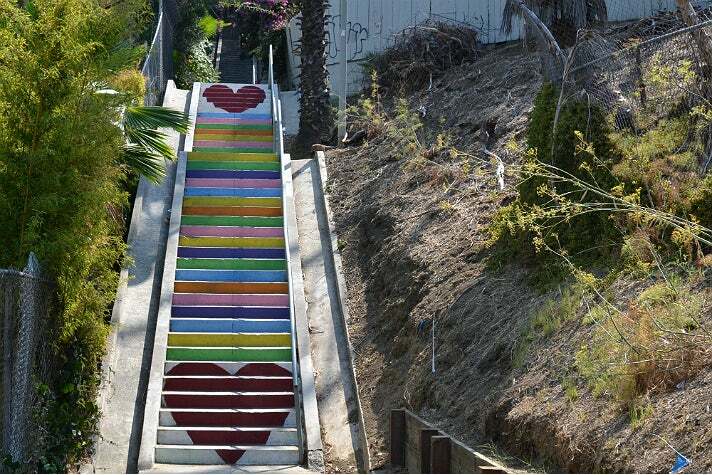 Feel free to accompany that with fuel in the form of a breakfast croissant, as you’ll be enjoying a little loop around the neighborhood, ending with either an ascent up or descent down the famous Micheltorena Stairs, with its multi-color stairs and painted red hearts for a picture-perfect, caffeinated proposal. 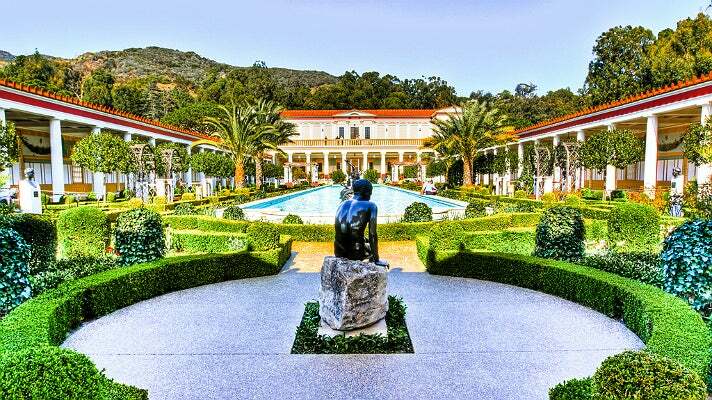 There are plenty of beautiful places to view art in Los Angeles, but few museums are as picturesque with lush gardens as the Getty Center and Getty Villa. After viewing art inside the Getty Center, the Central Garden, with its center spiral formed with hedges and plethora of plants surrounding it, will make for a dramatic environment within which to propose. If you prefer a setting evocative of a Roman villa, look no further than the Getty Villa in Pacific Palisades, featuring gardens that have you both feeling like you've time traveled to an ancient civilization. The 2.5-mile loop at Corral Canyon is a great way to get both of you on the move and affords beautifully scenic views for that special moment. Enter just off Pacific Coast Highway next to Malibu Seafood & Deli, a great place to stop for food should hunger strike you afterwards. A variety of ocean and canyon views provide a fantastic backdrop for that pivotal question. Don’t forget $5 for parking. 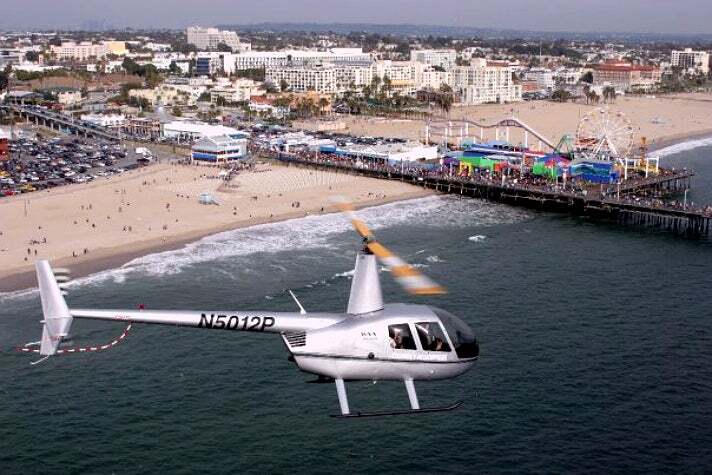 When breathtaking scenes and sights are top priority, head for a helicopter tour with Celebrity Helicopters. Tours start at just 15 minutes and last as long as 75 minutes on either planes or helicopters, and you’ll have a variety of neighborhoods to choose from day or night. With owner Robin Petgrave as your experienced pilot, you'll sip on Champagne, tour the beach cities, head to dinner, take in views of celebrity homes - the sky’s the limit on your special day. 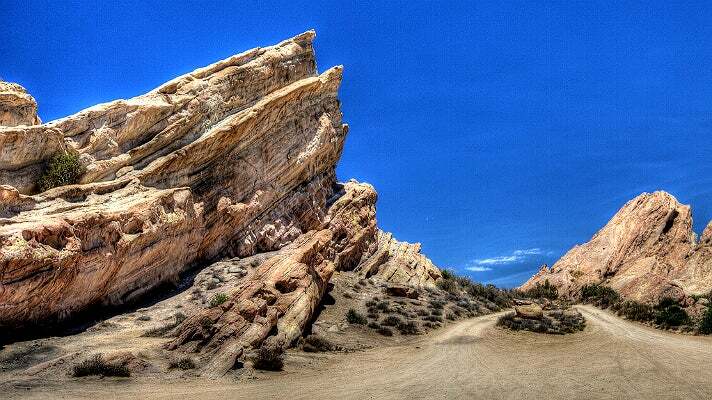 Head to Vasquez Rocks in Agua Dulce for a little scenic getaway that’s evocative of “strange new worlds,” such as those in multiple episodes of Star Trek. The landmark feature of the area is layers of rock that stretch diagonally out towards the sky, providing a setting that’s been often depicted as “out of this world;” part of the “wild, wild west,” as in Westworld, Bonanza, The Lone Ranger and Gunsmoke; and even cartoonishly prehistoric as in The Flintstones Movie. There’s nothing, though, like a proposal to that ultimate Star Trek fan in the very spot where Captain Kirk fought the alien Gorn.